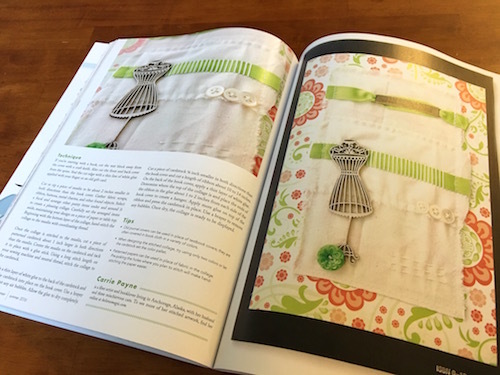 I love the creativity found in the pages of Sew Somerset. 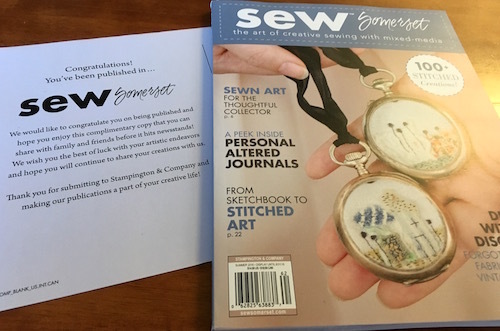 I’m honored to be included in the Summer issue! 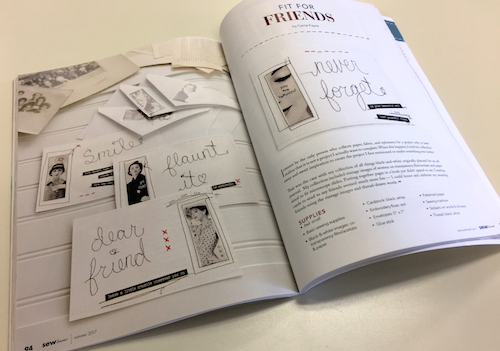 I created cards with vintage like photos and free motion stitching on paper. 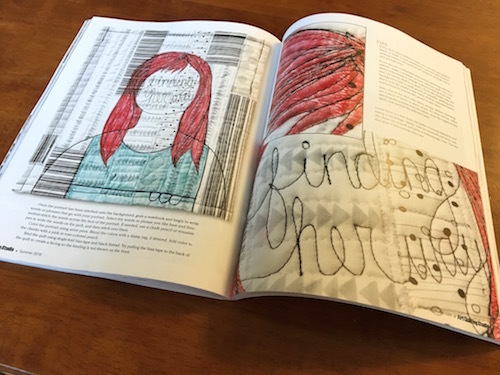 It was fun to create with contrasting thread and draw/write fast so as not to perforate the paper and rip it. 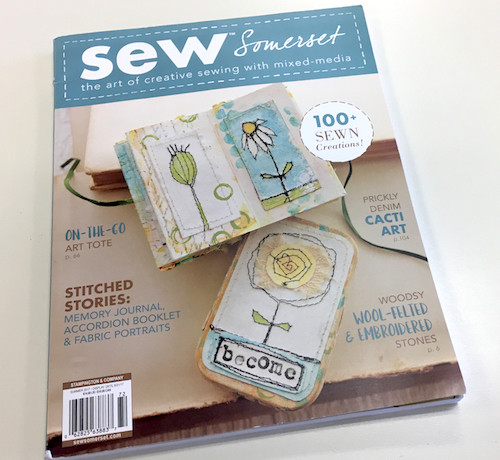 You can find a copy of Sew Somerset at your nearest bookstore/new stand or order a copy here. OMG! 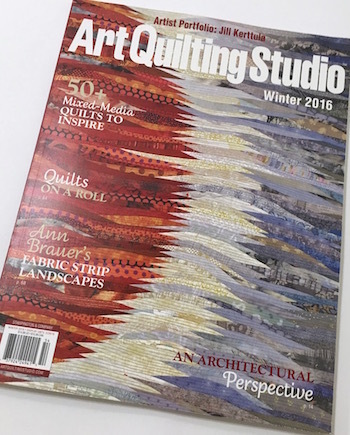 My art quilt is on the cover of Art Quilting Studio. I knew there was an article, but never expected the cover. The Light Princess looks stunning there. 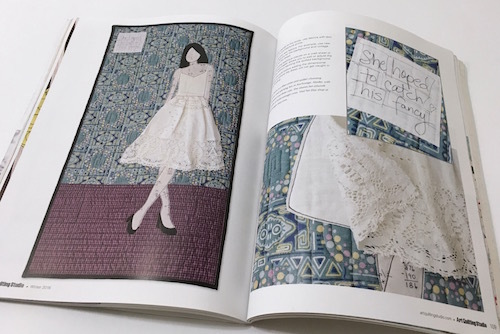 I am thrilled and so grateful to have taken the opportunity to send my quilts to Stampington (the publisher). 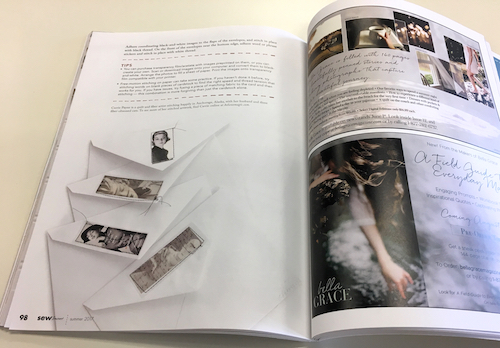 They did an outstanding job with the photography. 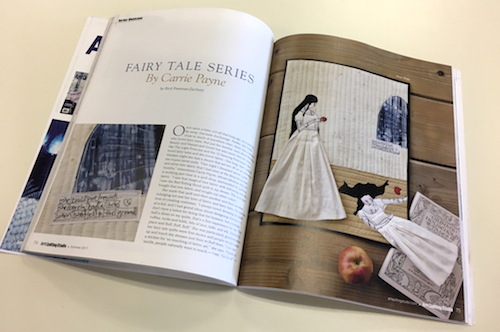 It was a strange and fun process being interviewed, but I adore the article that Ricë put together. 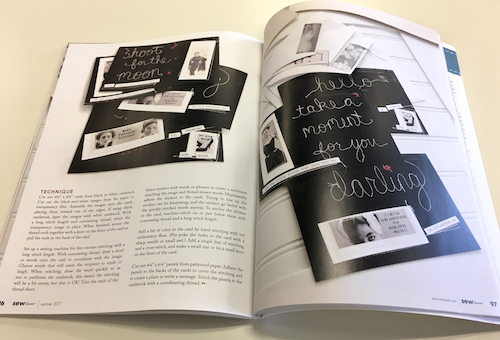 Run now to your nearest bookstore/new stand to pick up a copy or order one here. 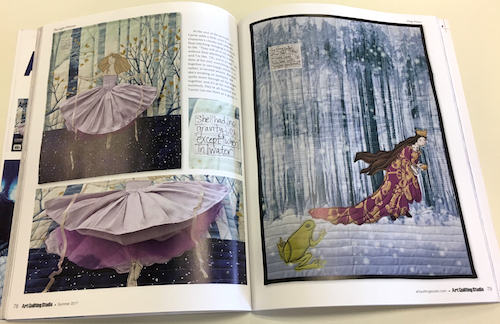 The rest of the issue is amazing too. 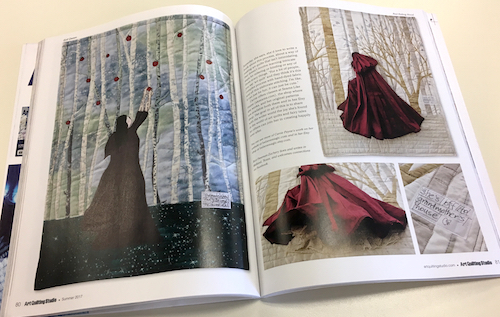 Yay – I was published in Sew Somerset Summer 2016. 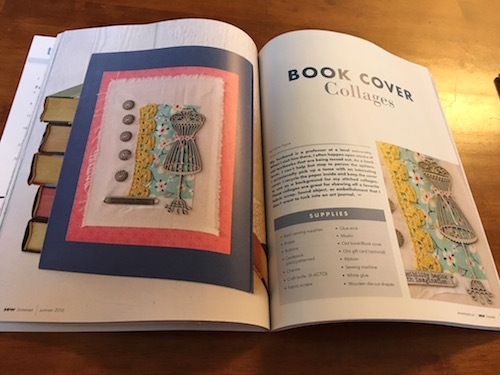 There’s an article on my book cover collages. I like finding fun ways to use old books. 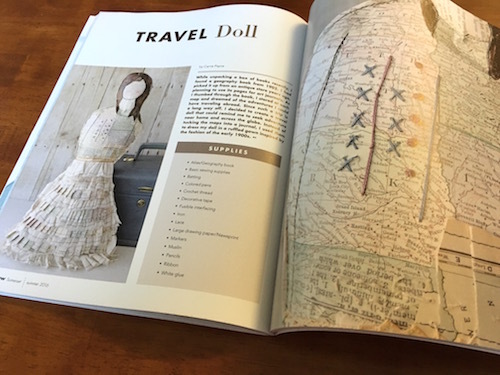 There’s also an article on a travel doll I created with a antique geography book. 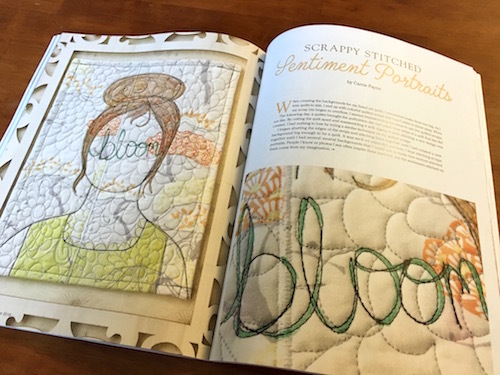 The issue is packed with fun stitched creations sure to inspire some fun projects. 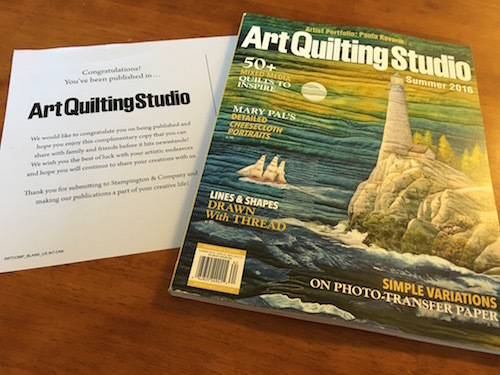 Yay – my art quilts are featured in Art Quilting Studio Summer 2016. 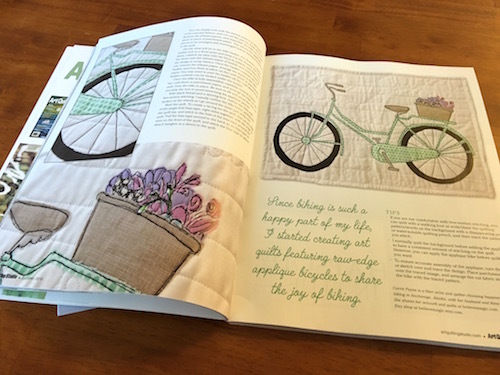 First up are my bicycle quilts. Stampington does some amazing photography. 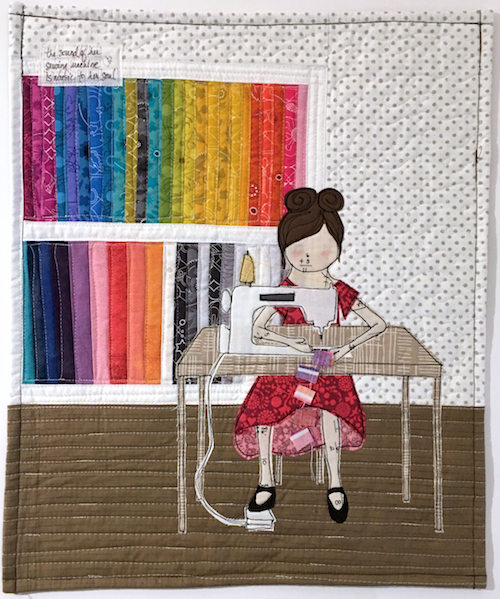 Also in this issue are thread drawn portrait quilts with scrappy backgrounds. 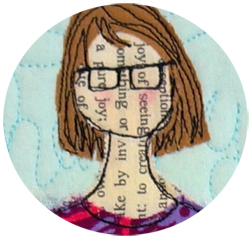 These are big version of the tiny thread drawn portraits that I usually make. 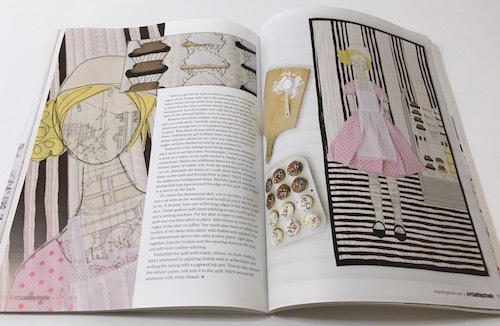 The issue is overflowing with art quilt eye candy. 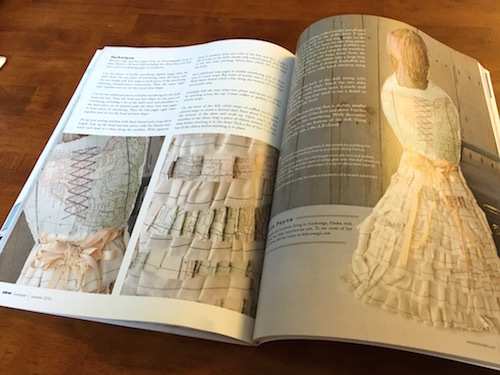 It’s like holding an art quilt exhibit in your hands. 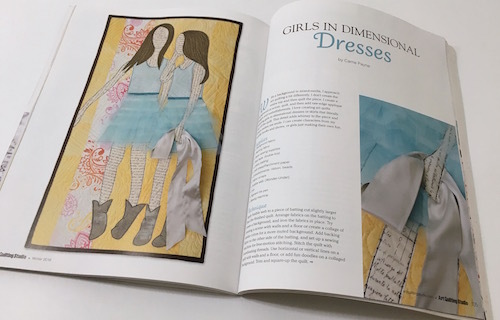 The winter 2016 issue of Art Quilting Studio has an article about my girls in dimensional dresses. 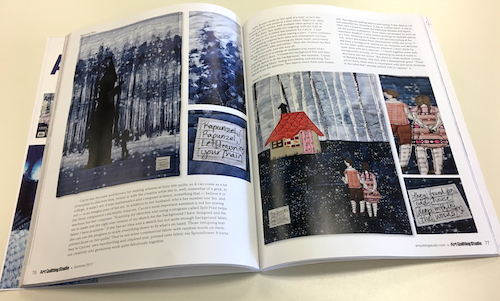 I sent 3 of my favorite larger art quilts to the publisher and as always they did an amazing job photographing them. 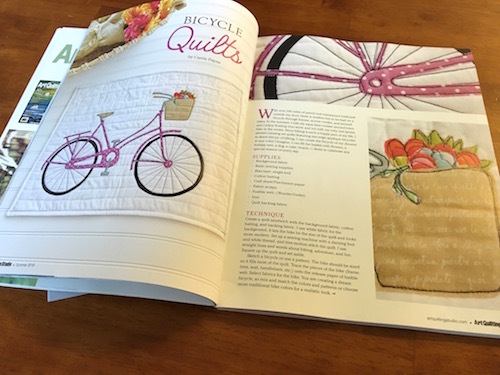 I love the staging with the cupcake baker and my Downton Abbey inspired quilt looks amazing. 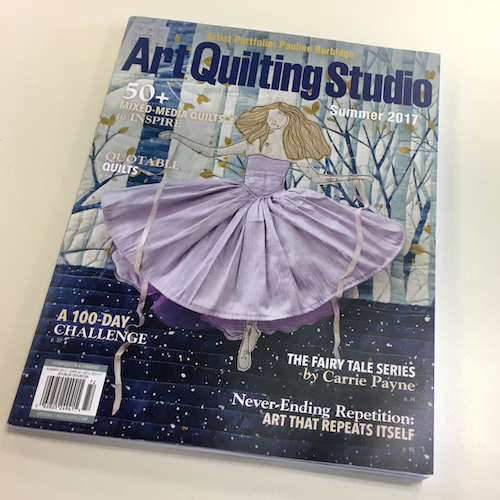 The issue is out now and is packed with quilting eye-candy and techniques. 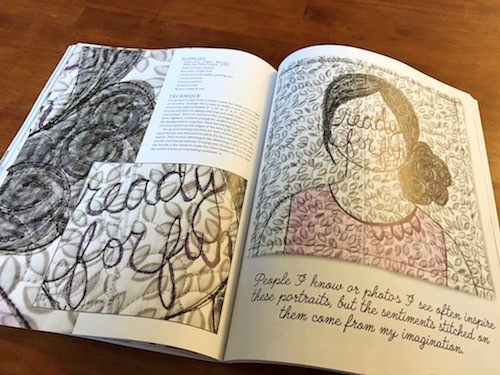 The work features is beautiful and I’m honored to be included.